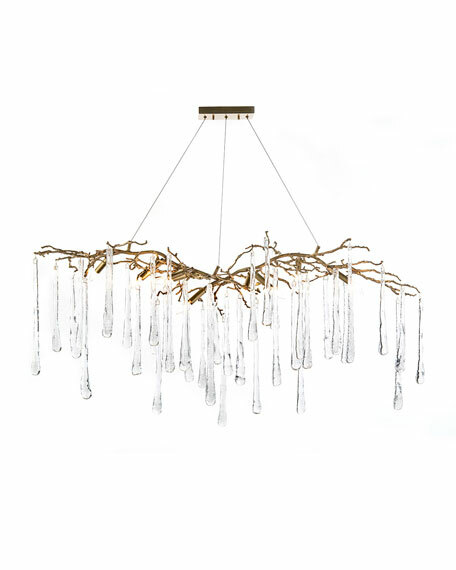 9-light chandelier with organically formed brass branches. Hand-blown glass teardrops at varying lengths, 12-16"L.
Approx. 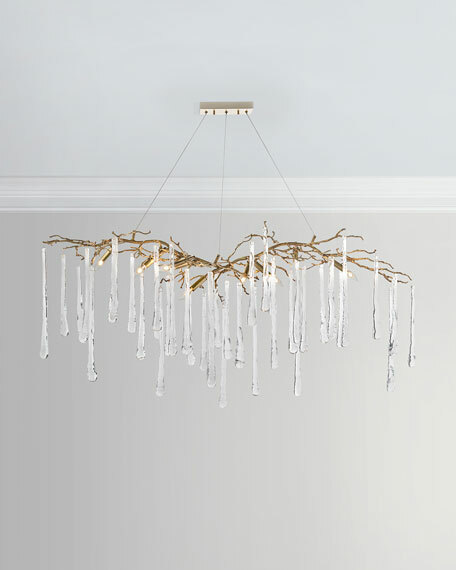 82"H x 60"W x 19"D.
Uses 9 candelabra (type B) bulbs; 60-watt max. Weight, 40 lbs. Boxed weight, approximately 50 lbs.